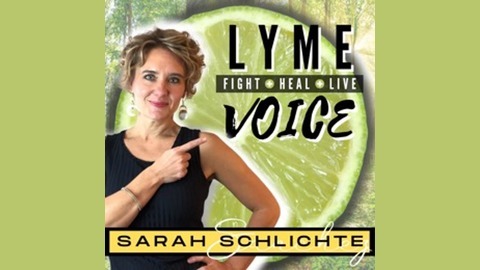 Lyme Voice is dedicated to those who are suffering and living with chronic Lyme Disease and other chronic illnesses. ~Designed to Educate.Inspire.Encourage ~We explore the often complex social and emotional aspects that impact households across the country. ~Authors, MD's, patients and other professionals share their knowledge and wisdom. Every podcast will be carefully structured to help you find a path towards wellness. #FightHealLive #FightingIsAMindset #LymeVoice. So, you or a loved one has (or thinks they have) Lyme disease. Now what? This book was written to answer just that question, and to serve as a starting point for those inflicted with Lyme (Borreliosis) and/or its co-infections such as Babesia and Bartonella. 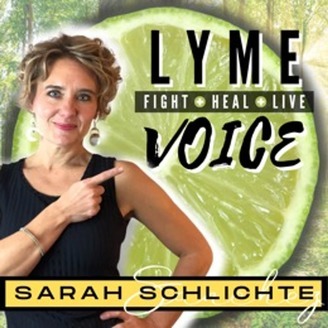 The book will also provide family, friends, and caregivers a unique perspective into what being ill with Lyme and/or its co-infections can feel like, and an insight into understanding the diseases better. It is hoped that after reading this book, that they can start their Lyme journey with you. A background of Lyme disease and its co-infections, their transmission, tips for preventing infection, steps for tick removal, a listing of symptoms, testing preparation, and approaches, as well as potential treatment options are all covered. Methods of immune support and detox, what to eat and not to eat, and what it is like living with Lyme and/or its co-infections are also included, along with a listing of useful resources, a symptoms tracker, details of the bands of the Western blot, and infographics summarizing the major points of the book. Lyme and its co-infections will change you and those around you, and it can be a very long journey if not treated early. Diagnosis is just the beginning! 076-9 Acts Of Resilience . 075 Using Meditation and Emotional Intelligence to Transform Trauma!